The average American credit score is 678, but there is a range of credit scores that auto loan lenders will find acceptable. 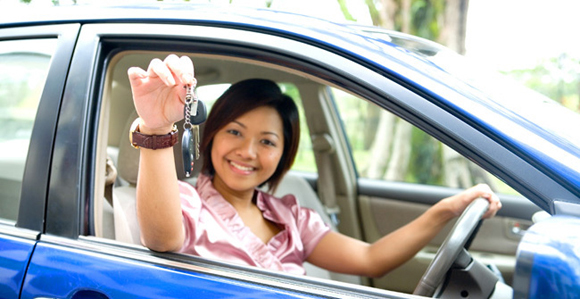 You can qualify for a auto loan with a low credit score, but you may need to seek alternative lending options to do so. In order to secure a auto loan with a traditional lender, you will need to be in the medium to low-risk credit range — this credit score range includes all scores more than 650. Traditional lenders, such as banks and large finance companies, will require fair to good credit in order to issue a auto loan. This credit score range is between 620 and 700. If you are on the lower end of this credit score range, the auto lenders may place extra requirements on your auto loan, including a cosigner, a large down payment, a loan that has a shorter maturation period or a high-interest rate. If you cannot qualify for the auto loan based on these requirements, you may need to seek an alternate option. Alternative auto lenders include car dealers and manufacturers, online lenders and dedicated high-risk lenders. Of these options, the car manufacturers often have the best rates for someone who has a credit score below average. However, even these auto loan companies will turn away from a borrower whose score is below 620. High-risk lenders will be more willing to work with borrowers in this situation. They will compensate for the risk with very high interest rates and large penalties for late, missed or early payments. Once you have a score of at least 620, but preferably in the high 600s or low 700s, you will have general freedom in securing financing. If you have a lender you currently work with, such as your bank, this is a good place to start in getting an auto loan quote. You may also ask the dealer you are purchasing the car from. Often, dealers can offer more competitive rates than traditional lenders.